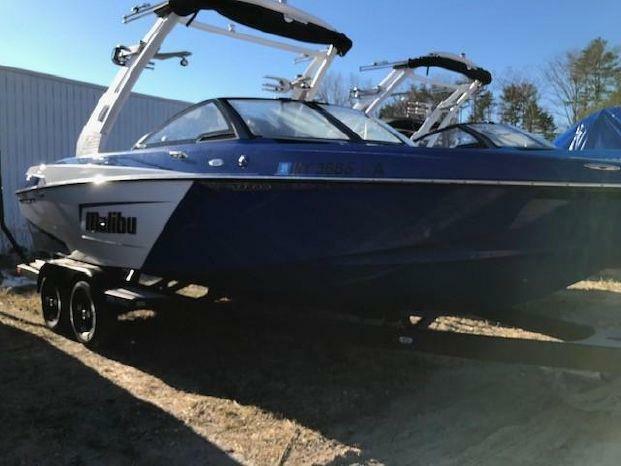 2019 Malibu 23 LSV - Demo Boat! Free US Shipping, $175 for Canada shipping. We have the pattern for ProFlight towers mounted on Sangers, Centurions and Supreme boats. The bimini is custom made from our pattern based on the boat make and model. Please call 309-371-0095 if you have any questions at all about this ProFlight tower Bimini! I give the product 5 out of 5 stars, it fit perfectly and is easy to set up. I installed it myself it took about 45 min. 1 trip to the lake and decided to move it up for more head height. No problem. The hardware is top notch and I love the stripe it looks amazing on our Sanger. Best looking boat on the lake. Yea 5 out of 5 for sure! The Bimini Top fits perfect and looks great. Everyone compliments me on it and it is very easy to use. I purchased a ProFlight bimini top from Only Inboards to fit my 2004 Centurion T-5. During the process of ordering the top, I was quite concerned that the product would actually fit when it arrived. Your customer service made it all easy. I sent you a photo of my boat and tower. You identified it all right away. The tower mounting hardware and the dimensions all fit perfectly. So for customer service, I give you a full five stars. As for the top, all I can say is that we should have bought this product years ago. I did not like the bimini offered by the factory. So, I went without it. We have endured the Arizona summer sun while all our friends enjoyed the shade. The top fit perfectly and is sold and rattle free while the boat is under power. No conflicts accessing the tower or racks. The top scores four stars for fit and function. Overall, we are very pleased. Last summer we purchased a Bimini top for our boat- we absolutely love it! The fit is perfect and it was easy to install and use- your service was excellent. We would absolutely give your company a 5 star rating! Thank you!! Purchased a solid black biminifor a sanger boat, was being installed on a Proflight tower. Great customer service, received it in less than a week. Fit perfectly the fist time. Enjoying the shade while boating. Thank you! !